Sven's Co-op mod will be free and stand alone when it releases on Steam. On most scales of human time, fifteen years would fall under the category of "long." Long enough that, through duration alone, Sven's Co-Op mod could qualify as impressive. The mod, which adds cooperative play modes to the original Half-Life, has been consistently updated by its creators for a decade and a half. After recently announcing, however, that the latest version of the mod would likely be the last, the team behind Sven's Co-op received a pleasant surprise from none other than Valve itself. The Sven Co-op Development Team has revealed that Valve will helping it create a custom version of the mod that will be distributed via steam. "After nearly fifteen years in development as a mod for Half-Life...we've been granted access by Valve to work on our own custom version of the Half-Life engine," announced the modders in a forum posting. "We are grateful beyond expression to Valve for their generosity and efforts put forth to make this possible. We're looking forward to working with one of the greatest game engines ever made." 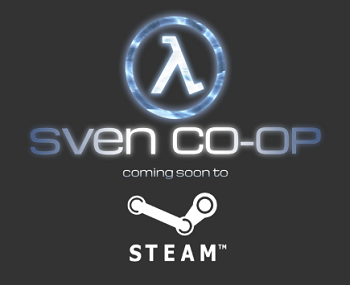 While the current version of Sven's Co-op needs to be applied to an existing install of Half-Life, the Steam edition will be a stand-alone title that includes a cooperative version of the game's official campaign. In addition, the Sven Co-op Development Team hopes to utilize Valve's resources in efforts to increase "stability, performance, and gameplay improvements" within the new version. Fixing features and releasing updates will also be simplified thanks to Valve's SteamPipe content delivery system. Perhaps best of all, as with the original mod, the Steam version will be completely free.